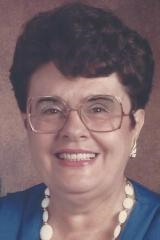 Beverly M. Harrison passed away peacefully April 4. 2019 surrounded by friends and family at her home in Escondido. She was born in 1927 in the Chicagoland, Illinois area where she met her husband Robert L. Harrison. They were longtime residents of Mt. Prospect Illinois until retirement in 1989 in Oceanside, California. Upon Robert’s passing she moved to Escondido and resided with her daughter Carrie. Beverly was very active in local Oceanside clubs and Church and was a natural organizer of activities. She had a very good sense of humor and a quick wit. She was given great comfort and care in passing by the wonderful staff of Sharp Hospice and other caregivers. Survivors include her six sons and daughters and their families. Son, Robert M. Harrison, and daughter-in law Janice K. of Poway, CA; daughter Joyce M. Lindow and son-in-law Richard of Fredericktown, MO; son Craig L. Harrison, daughter-in-law Jennifer, and grandson Ryan Harrison of Indianapolis, IN; daughter Carrie A. Harrison and fiancée Doug Mortimer of Escondido CA, son Reid M. Harrison and daughter-in law Marleen of Las Vegas, NV; and John R. Harrison of Delafield WI. Other survivors include her brother Garland Gralow of Melrose Park, IL and Sandra Hendry of Lena WI and their families. In lieu of flowers, donations can be sent to Sharp Hospice, your local non-profit hospice group or to Emmanuel Faith Community Church, Escondido.